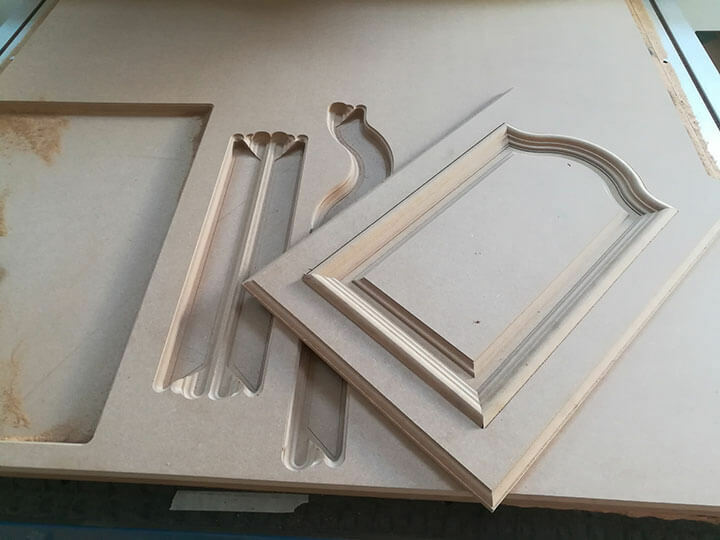 In general, the solid wooden door consist of two parts-basic door shape and decorated designs, obviously the single head is not enough to finish the whole solid wooden door work, so one penumatic tool changer CNC router or automatic tool changer CNC router is especially important. Now let us learn about solid wooden door CNC router STM1325-3T. STM1325-3T is one penumatic tool changer CNC router with 3 spindle motors. In the middle is one 6KW motor, it main used to do cutting with high power. Two sides are 3.5KW motor main used to do carving. If your solid wooden door need 4 pcs different bits, our STM1325-4T is optional. If need more than 4 bits, automatic tool changer STM1325C or STM1325D for choose. License: The text of "Solid wooden door CNC router STM1325-3T" by STYLECNC is licensed under a Creative Commons Attribution 4.0 International License.